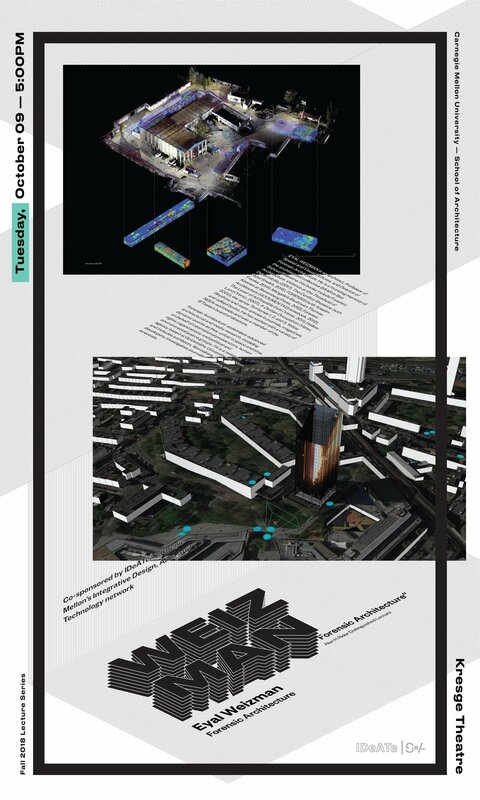 FORENSIC ARCHITECTURE undertakes advanced architectural and media research, modeling dynamic events as they unfold in space and time, on behalf of international prosecutors, human rights organizations, and political and environmental justice groups. FA is a research agency based at Goldsmiths, University of London, and includes architects, filmmakers, software developers, investigative journalists, lawyers, and scientists. EYAL WEIZMAN is an architect, Professor of Spatial and Visual Cultures, and Director of Forensic Architecture. He is a founding member of the architectural collective DAAR in Beit Sahour/Palestine. His books include Forensic Architecture: Violence at the Threshold of Detectability (2017), The Conflict Shoreline (with Fazal Sheikh, 2015), FORENSIS (with Anselm Franke, 2014), Mengele’s Skull (with Thomas Keenan at Sterenberg Press, 2012), Forensic Architecture (dOCUMENTA13 notebook, 2012), The Least of All Possible Evils (Verso, 2011), Hollow Land (Verso, 2007), A Civilian Occupation (Verso, 2003), the series Territories 1, 2, and 3, Yellow Rhythms and many articles in journals, magazines, and edited books. He has worked with a variety of NGOs worldwide and was a member of the B’Tselem board of directors. Forensic Architecture's Eyal Weizman seeks to expose the malpractices of state actors through years of experience using the innovative tools of the architect.